This is Leopold Ali Khan, she is my first leopard gecko. Leopold is about 2 years old. 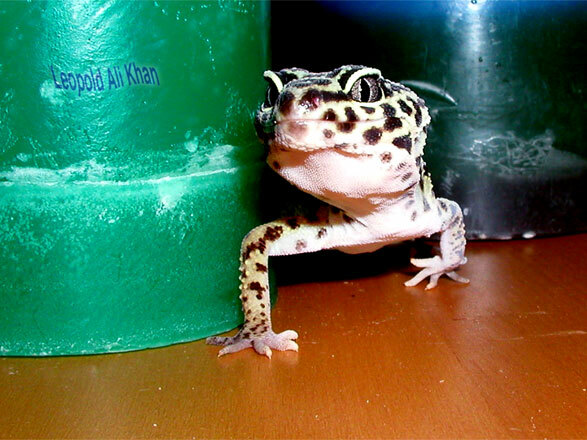 Leopard geckos are from Pakistan, and Leopold is named after the famous singer from Pakistan, Nusrat Fateh Ali Khan.